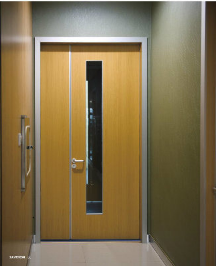 SAMEKOM has manufactured the modern and contemporary hospital door for over ten years, and had become not only a leader in the design, but also the biggest manufacturer in the world. Our interior hermetic door is of high quality, strong and durable. Interior Door Features :Eco friendly /Soundproof/Waterproof/Moisture-proof/Moth-proof/Easy Install&Discharge/Also can stand super dry /wet area .